Shaquille O'Neal's won some pretty nice trophies for his impressive moves on the court while playing for the Los Angeles Lakers and the Miami Heat. Lately the 42-year-old retired basketball star (Now a TV commentator) has been pulling some nice moves off the court, more specifically on a very pretty recent college graduate named Laticia Rolle. 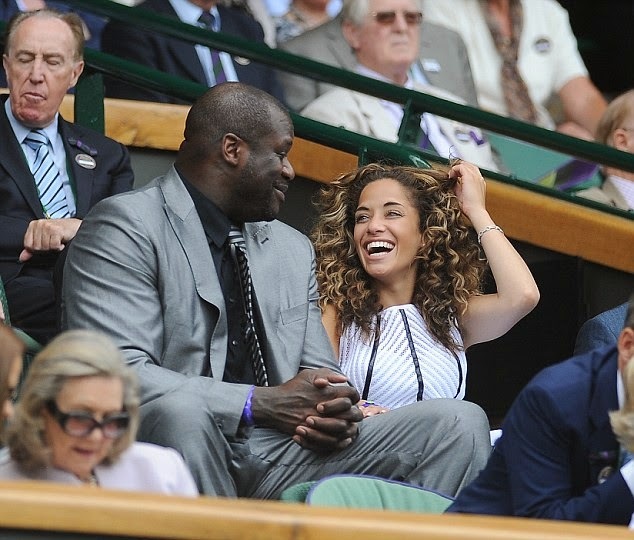 On Monday the 7ft1in athlete was seen laughing it up with the comely Florida native at Wimbledon just two days after he was spotted planting a kiss on her at a Paris nightclub as rapper friend Busta Rhymes looked on.